In a magical setting, surrounded by its own land at the end of a long private drive, The Sheephouse is on the market for the first time in nearly 400 years. ‘It has been in the family since 1671,’ says fund manager and author Jonathan Frewen, who inherited it from his great aunt in 1988; his family owned the Brede estate from the 17th century. He moved there full-time in 1990 with his wife, Anita, and daughter, Antonia, after it had been sympathetically renovated and extended. 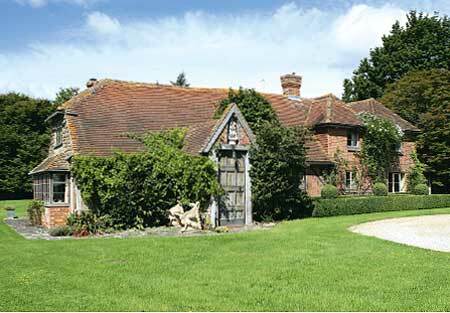 The Sheephouse, near Brede, East Sussex has 5 bedrooms, 4 reception rooms, Sussex-style barn with garage and studio. 5 acres formal gardens, 105 acres let on an agricultural tenancy.